I used to tote around my Canon D-SLR camera with me everywhere. Interchangeable lens, external flash, batteries, CF cards, and the whole deal. Then something crazy happened. I got an iPhone 4 years ago, and the camera I have used 95% of the time is not my Canon D-SLR but my iPhone. Having said that, I’ve looked for great camera apps for creative iphonography and enjoyed great new developments in recent years. However, I haven’t seen many apps that address iphone videography. That is, until now. A friend of mine has been developing an app that will give your iPhone professional features for video capturing and editing. 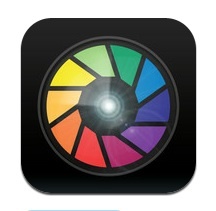 CinePro, which launched just yesterday, is the iPhone videographer’s one-stop app. Whether a novice capturing home video or looking to for mobile videography to share on social networks, this app delivers on numerous levels, including adjustments for exposure, ISO, filters, aspect ratio, frame rate, focal length, and white balance. How cool is that? Additionally, you can share directly from the app to Facebook, Twitter, YouTube, or upload it to a Dropbox account.